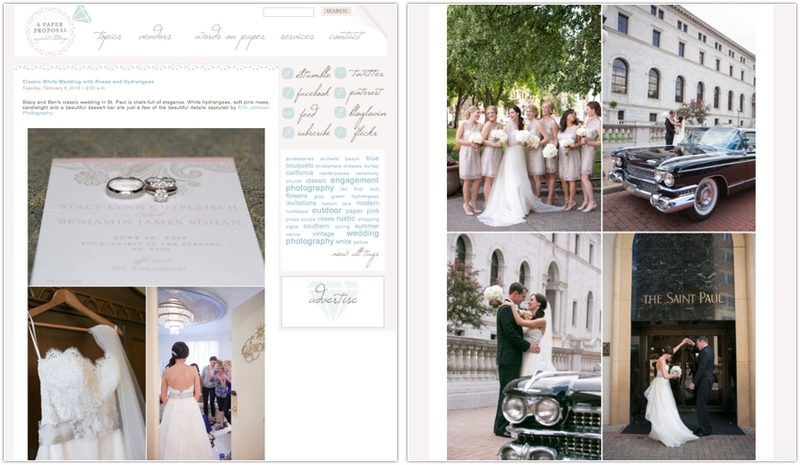 Stacy and Ben's classic wedding in St. Paul is chalk-full of elegance. White hydrangeas, soft pink roses, candlelight and a beautiful dessert bar are just a few of the beautiful details of this publication. Michelle & Travis used neutral shades to create a romantic and whimsical look that they beautifully mixed with lace. 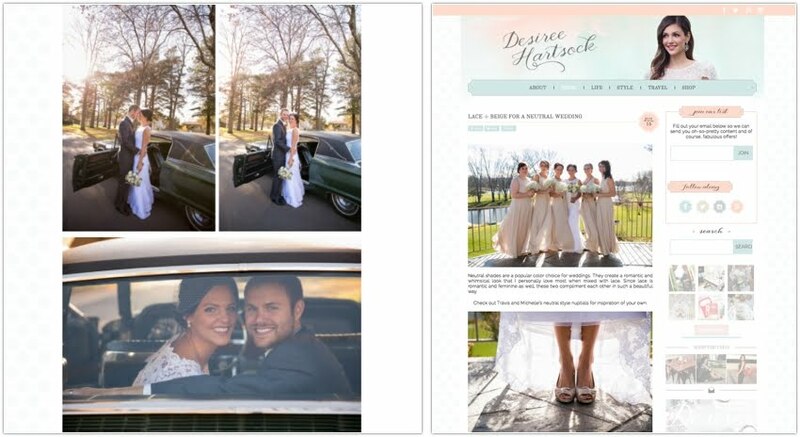 You can see their lovely wedding photos featured on Desiree Heartsick & Borrowed & Blue.